Thanks to everyone who participated in 2019 and ordered pizza from Domino’s, the event was a fantastic success! We raised over 960$, with 175 orders! 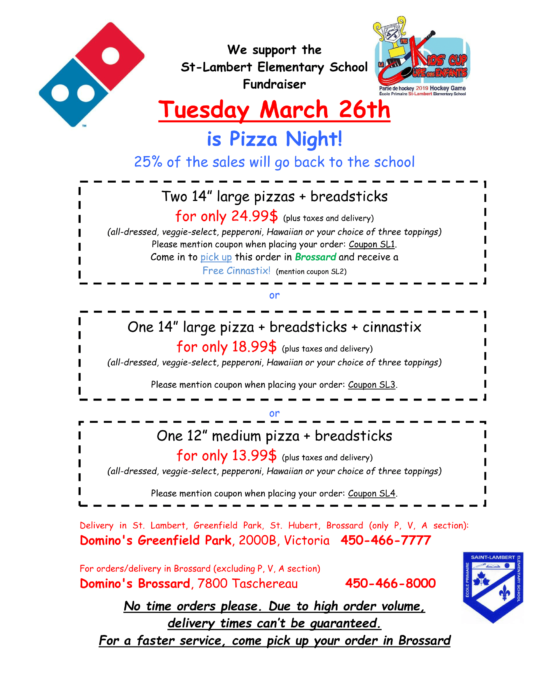 This year’s Domino’s Pizza Night will be Tuesday, March 26th, 2019. 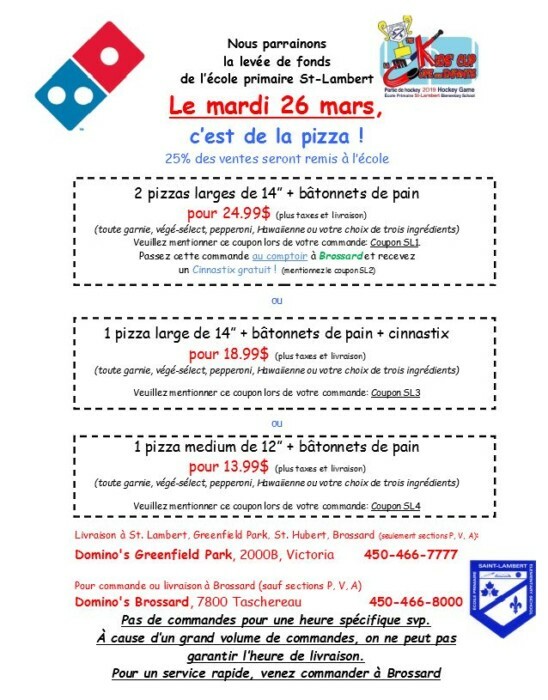 Why not order in some Domino’s pizza and watch the Habs play against the Florida Panthers with family and friends? 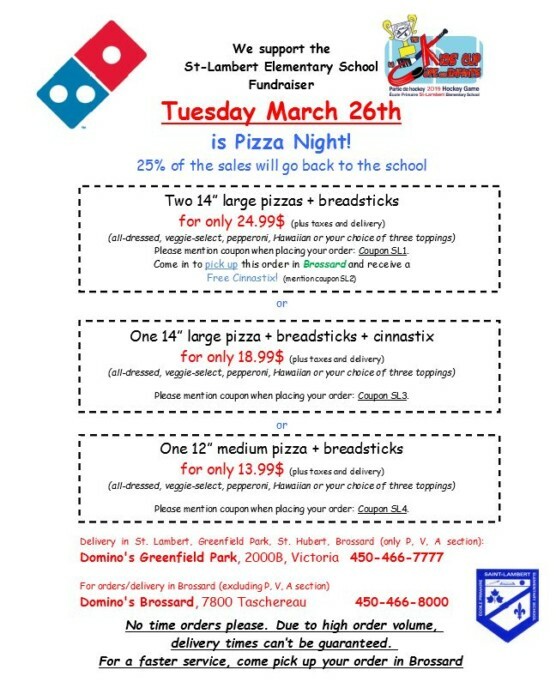 Note that pizza will be available from two Domino’s locations!